Our mission is to prepare young people to be leaders in their family and communities and individuals of strong character. Through campouts, service projects, skill- and team-building, they discover the positive principles of Scouting. Our scouts share a love of the outdoors, adventure, skill-building and camaraderie. Youth leaders run meetings, decide where to camp, and plan service projects. Adult leaders and volunteers provide guidance and support as necessary. Troop 3 has a rich tradition in Wilmette, founded nearly 100 years ago, on October 10th, 1920. We have a beautiful troop room with a true cabin feel that was endowed to us by a former scout and member of Trinity Church. 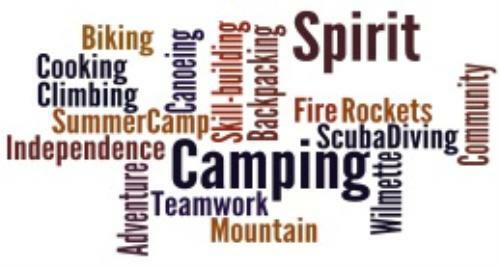 We encourage all new scouts to quickly develop basic skills to make campouts and other activities more enjoyable. Most new scouts can achieve the second rank of Tenderfoot within a few months of joining scouting. We provide support with older scout Guides, and new scouts also learn the Patrol method. Camp MaKaJaWan - skill-building and merit badges; fun! Click here for a good summary of all major rank requirements for the first four of the seven ranks of scouting. Six to eight local campouts during the school year, some with activities like Rocket-launching, Canoeing, Biking, Geo-caching, Cabin camping/Aviation Museum and Camp MakaJaWan. Previous trips include Philmont (New Mexico) in 2017 and the Upper Peninsula of Michigan for the past several years.